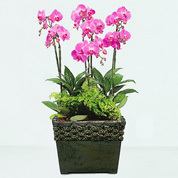 Send our exquisite purple phalaenopsis orchid, the color once reserved for kings and queens, and your special someone will feel like royalty. 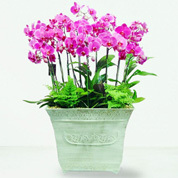 Phalaenopsis have become very popular. 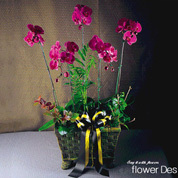 The main reason for their popularity is the flowers last three months or longer on a graceful arching spike with many flowers. 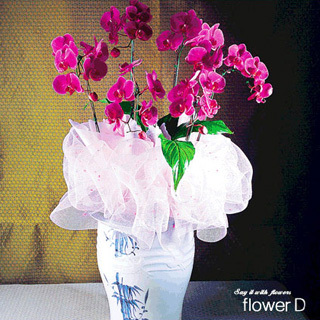 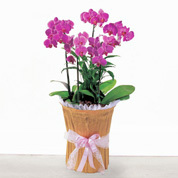 Upgraded orchid items are made with additional stems of the highest quality and long stem.